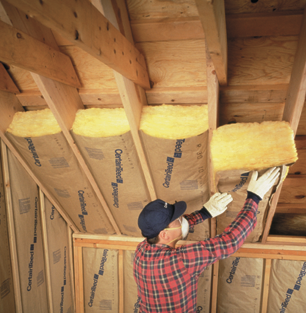 Why choose Bay Therm Insulation LLC? Integrity, knowledge and excellent service – these aren’t just words, they represent how Bay Therm Insulation does business. Whatever your needs, you can trust us to offer high quality products and service. A variety of services – from insulation to gutters, Bay Therm Insulation can help you improve your home’s energy efficiency and aesthetic. We install fiberglass, spray foam, cellulose, gutters and gutter guards. Welcome to Bay Therm Insulation, your insulation and gutter professionals. Homeowners, developers and contractors throughout northeastern Wisconsin, including Green Bay, Hobart, Greenleaf, Freedom, Seymour, Angelica, Bellevue, Suamico, New Franken and Oneida, have come to depend on us for a variety of needs. We are proud to serve our community. As part of the Installed Building Products Family of Companies, we install fiberglass, spray foam, cellulose, gutters and gutter guards in residential new construction projects, remodels, retrofits and commercial projects. Call Bay Therm Insulation for your next home improvement, commercial, or new construction project! 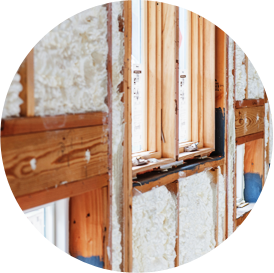 Established in 1995, Bay Therm Insulation serves new construction, retrofit, commercial and industrial insulation needs in northeast Wisconsin and surrounding areas. We provide batt, blow, foaming and bibs systems. In addition, have a full service gutter division.